Tap dancers need shoes – special shoes, with special taps. Without these integral tools of the craft, prospective tap dancers are limited in their ability to learn properly. To overcome this barrier the Society hosts a Shoe Closet. We give new life to well-loved shoes by pairing them with the feet of a new dancer. We host well over 100 pairs of shoes ranging from size child’s 9 to adult women’s 11. 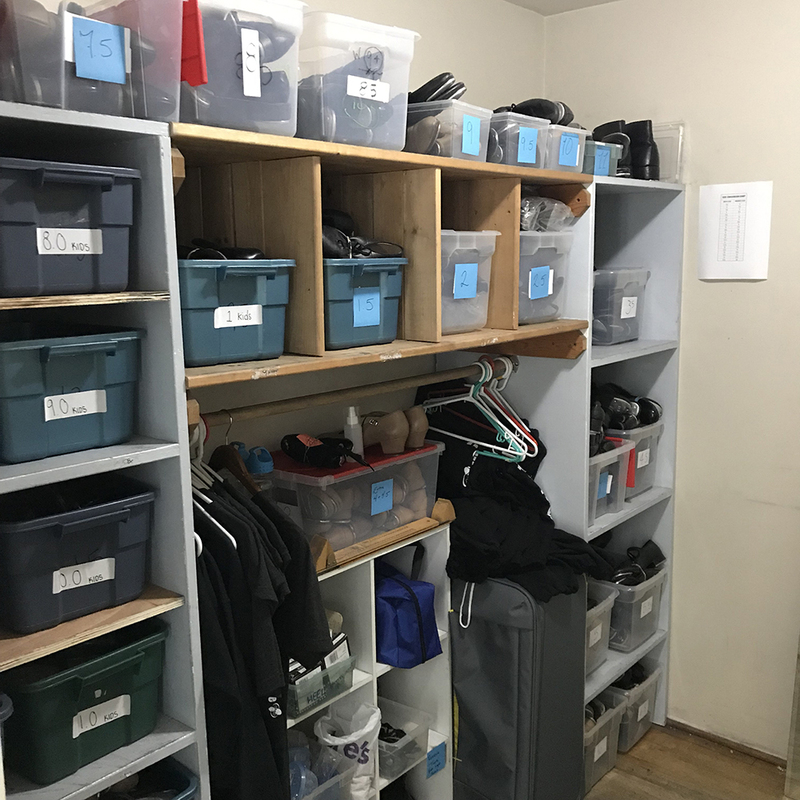 New dancers at our Academy can use a pair of shoes for FREE during their first visit or rent a pair for the entire Academy season for a nominal fee. Do you have a pair of well-loved tap shoes that need a new home? Let us know or just drop them by.